For over four decades, Robert Chavez, has been treating generations of families and their smiles from Boston to Cape Cod. Starting in Stoughton, Dr. Chavez created the flagship ARCH Orthodontics location in 1974 before building the trusted multi-location practice that exists today. He was joined in the practice by his son, Dr. Andrew Chase, in 1998. While in dental school, Dr. Chavez worked as a teacher pursuing a dedication to education that had deep-seeded roots within his family, dating back to his grandfather and grandmother who taught in Russia. “There’s a love of giving and creating a cooperative society that was exemplified in the old days of education,” Dr. Chavez said. “This role of teacher translates to the role of doctor as a means of communicating with patients and parents. It’s about using my profession as a creative expression of who I am, and what I’d like to have as far as healing the world and making sure my team is able to operate effectively, efficiently, and joyfully in their chosen work,” he said. Dr. Chavez looks to his role of Dad to four fabulous children as the apex of his life. 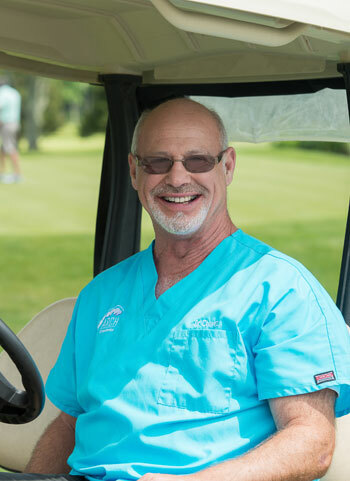 Along with the joy of being a husband, Dr Chavez rounds out his life with golf, fishing, sculpting, drawing, carpentry, metal working, building and remodeling houses. “It is a delight – working with and enjoying the relationships of thousands of patients, parents and friends developed through ARCH over four decades,” he said. Stoughton Youth Commission as a founding member in 1978 and continuing over twenty-five years!